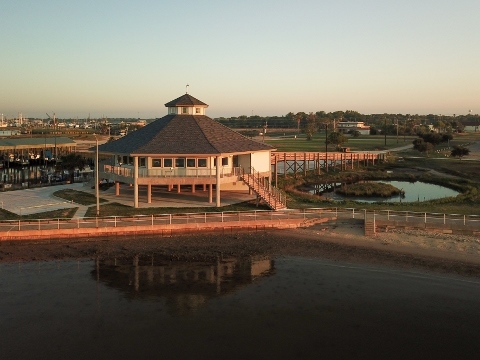 The community of Palacios has enjoyed the recreational benefit of historic pavilions built over Tres Palacios Bay since 1904. 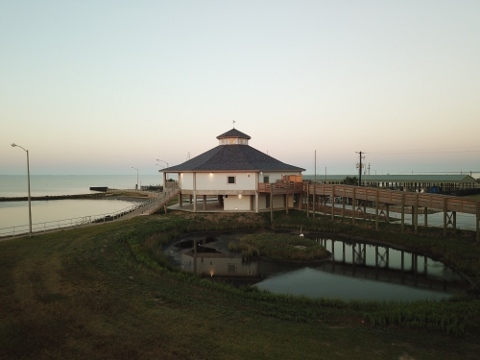 The last of these on the City’s 4th Street pier was dismantled in 2011 after severe storm damage. 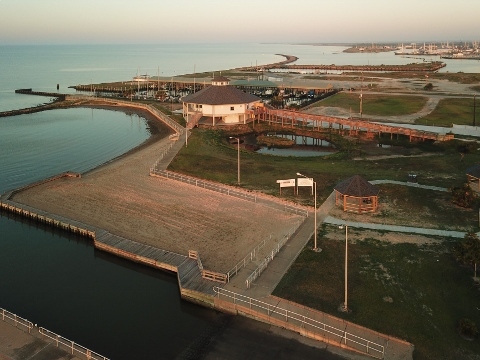 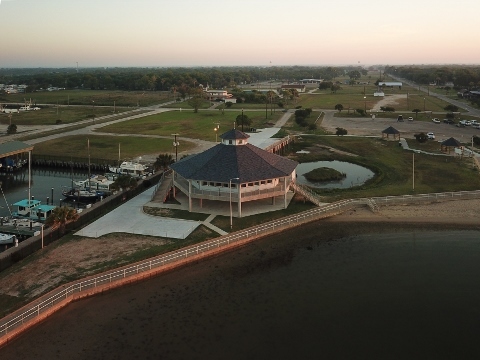 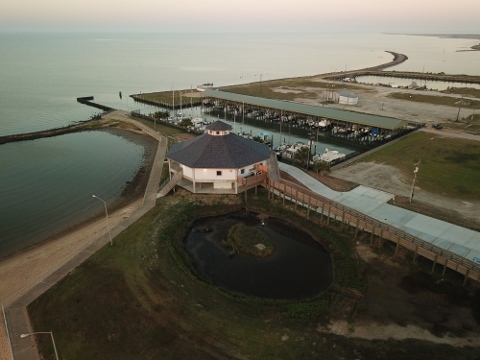 A desire to build a coastal educational pavilion that honors the past and looks forward to the future has been the desire of many groups over the last decade and resulted in the development of the Palacios Beautification and Pavilion Committee. 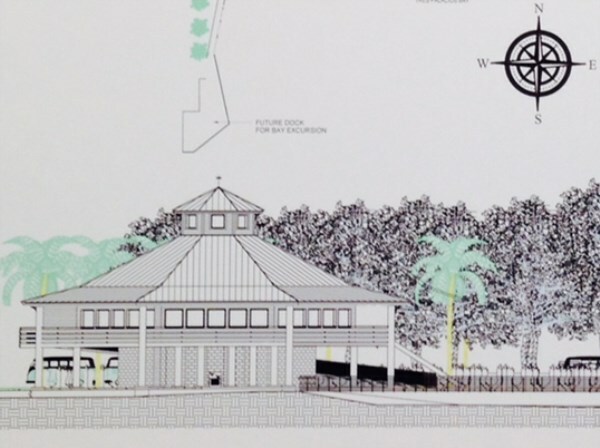 In 2013, the City hired an architect/engineer team to design a new pavilion for community use. 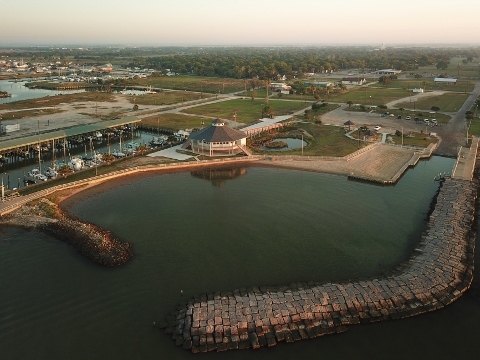 After conducting surveys and public meetings, a bay front site on the shore was chosen and the project was underway. 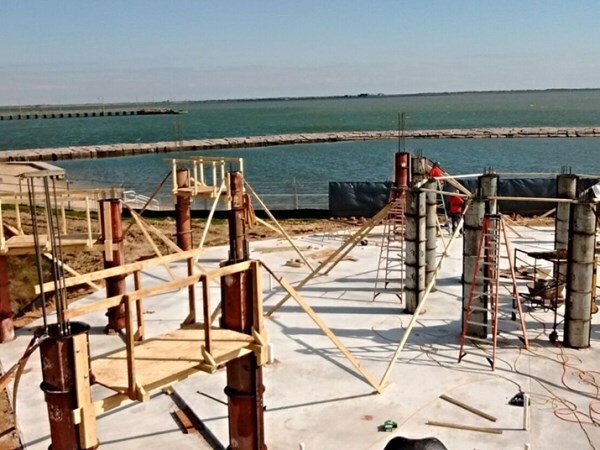 The Pavilion will be an octagonal, elevated 3,619 square foot ADA structure reminiscent of the historic pavilion including a cupola. 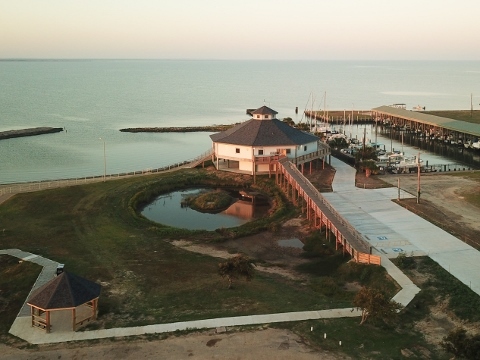 This multi-use facility will be available for public use including educational programs, community gatherings, events, private functions, school tours and other programs. 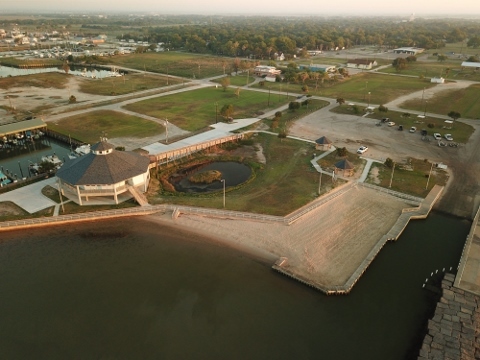 The site is complimented by parking, ADA ramps, a wetland exhibit, walks, plazas and of course, a stunning bay view. 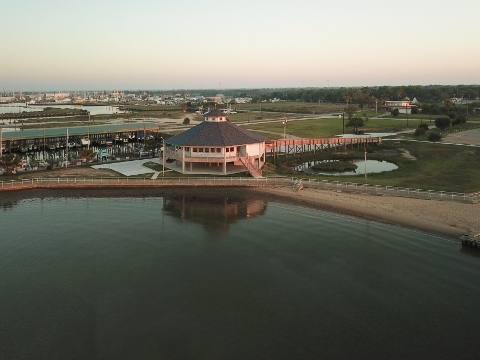 How Can I Rent the Pavilion? 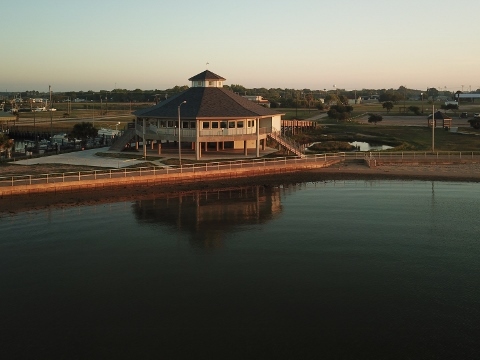 The following documents outline the conditions and contract for renting the Pavilion.